4 Pines have been releasing some seriously good beers over the last year or so under their Keller Door range. This beer has been earning rave reviews over the last few weeks and so it was only a matter of time before I got around to trying it. I'm not going to lie; today's Hopped Up badge was a surprise, hence the iPhone photo. 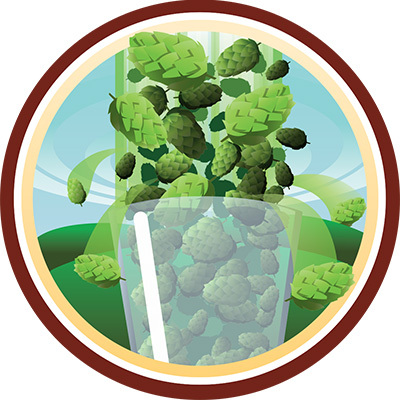 This is a badge for drinking beers with over 65 IBU's, something that I do a lot of! 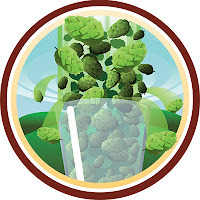 Something that many people don't know is that most Russian Imperial Stout count towards this badge, the hops are just obscured by the big malt base. Anyway, this is an Imperial IPA clocking in at 84 IBU's that I'm really looking forward to trying, let's get into it. The Keller Door Imperial IPA from 4 Pines pours a very clear deep golden, almost amber colour. The head is quite large, maybe 4 fingers in height and has quite good retention. The beer eventually settles to a small rim of white foam, somewhat disappointingly leaving no lacing behind. Despite the lack of lacing it's still an appealing looking beer, especially when first poured. Onto the nose and the first thing I notice is that there is plenty of sweetness coming from the malts. There's also plenty of sweet, almost syrupy fruit, with pineapple and grapefruit prominent. I also get a bit of pine resin as the beer warms. The hops don't appear to be particularly bitter on the nose, but I hope they can do enough to balance out this overt sweetness. Unfortunately they couldn't... The caramel malts and pineapple sweetness were over the top for me. It's very, very sugary sweet. The pine flavour tries it's best to cut through the sweetness, but it really struggles. As it warmed bitterness became more pronounced, however the malts were still a little cloying. I am the first person to call out people who don't understand balance in their Imperial IPA's. The style is supposed to have some sweet malt character and not just be a hop bomb. Initially at least this beer crosses the line into the too-sweet, almost cloying category. That said, after it warms up, and the bitterness becomes more apparent, the beer becomes quite enjoyable. 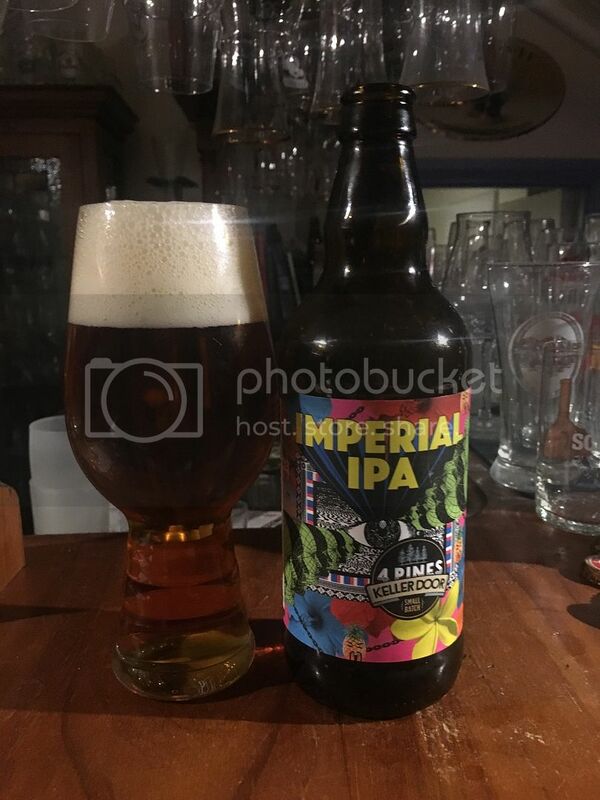 I certainly wouldn't buy this again, but I know a few of you out there would prefer this style IPA much more than I would.